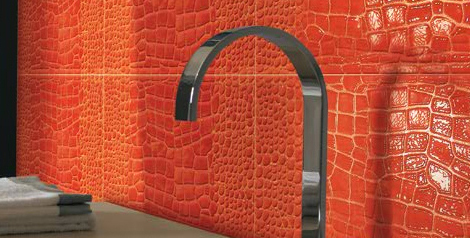 The Italian company Petracer design tiles with inspiration from nature, as in reptiles among other. 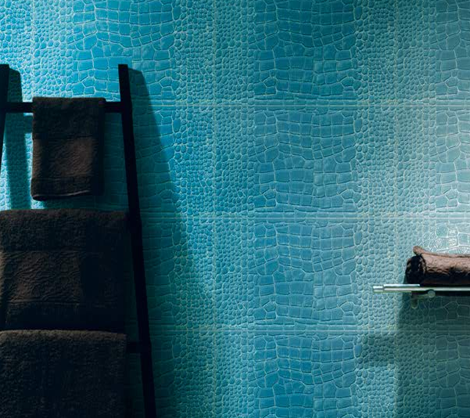 An unique look on your walls, pictured used in the bathroom. Quite different than other tiles I’ve seen. 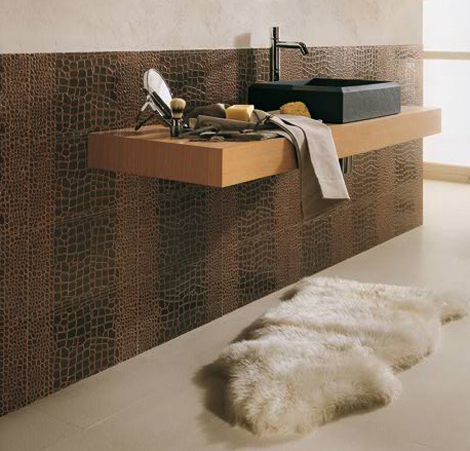 Visit their website for inspiration, they have tiles for every room, with design from ancient times, from the desert, reptiles and others. 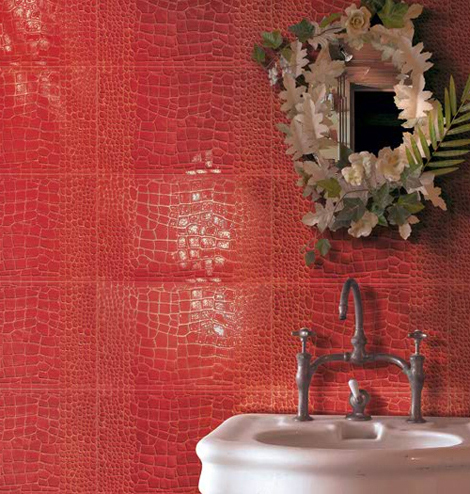 Get inspired and appreciate the use of colors that stands out, it’s red, tourquise and sand pictured. Like it or not?